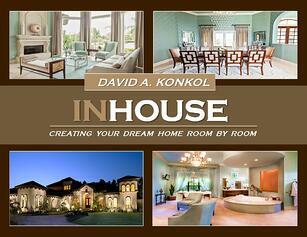 In House-Creating Your Dream Home Room by Room is a creative guide that will help you plan your home, room by room. From ideas such as creating a “Snoring Room” to raising your foyer up to create a view for guests, you will find many new ideas. This book is sure to give you the innovations you need to make your custom home, “yours”.